The year 2019 has just started! You must feel ‘beary’ fresh now. What is your new year’s resolution? I use a ‘bear’ calendar at home. Every day, the bear gives me a sweet message. Let me share the Jan-1 message with you. 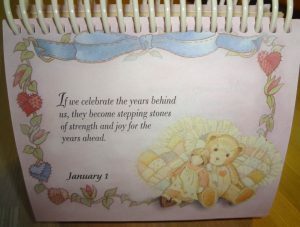 If we celebrate the years behind us, they become stepping stones of strength and joy for the years ahead. What a powerful message! I have decided my new year’s resolution: Celebrate each day and whatever happens, make everything a stepping stone for tomorrow. 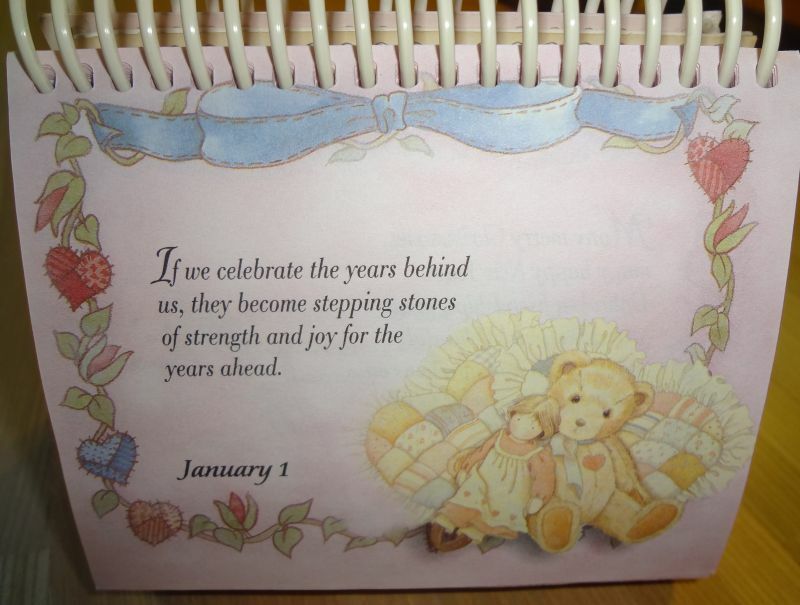 By the end of the year, I will have stepped on 365 stepping stones and made significant strides towards the future!